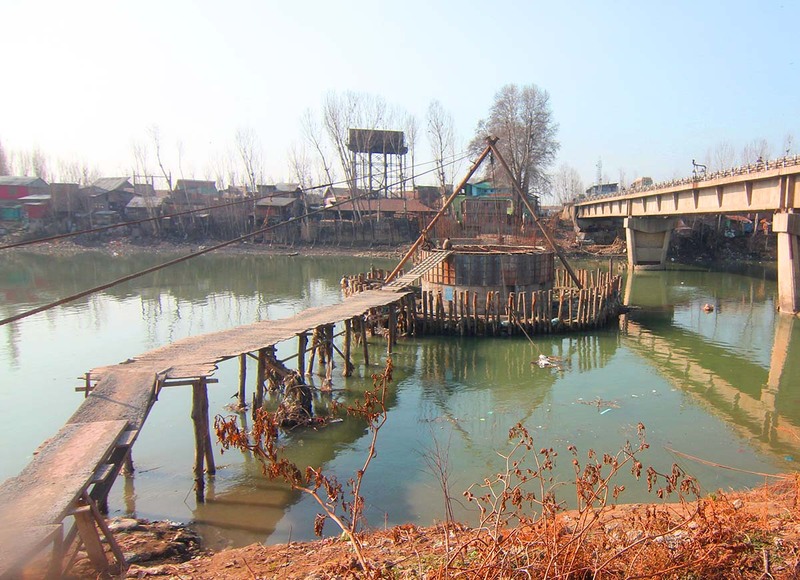 8 years on, Noorbagh-Qamarwari bridge awaits completion. To take the Jammu and Kashmir state’s developmental narrative to the new level, the administration led by Governor Satya Pal Malik constituted Jammu and Kashmir Infrastructure Development Finance Corporation (JKIDFC). A shell company, it will raise debts from the open market to fund the completion of various socio-economic projects, languishing for lack of resources. The company board will be sitting in a meeting on weekly basis to clear the projects. Though there is no clear idea of the number of unfinished projects that the JKIDFC would fund a smart estimation is the entire clean-up would require resources more than Rs 8000 crore. The corporation would raise the debts and the sovereign guarantee would come from the Jammu and Kashmir state. The corporation with its headquarters in Muthi will be operated from the civil secretariat and, apparently, may not have costs. With state’s Finance Secretary as its Chairman Managing Director (CMD), the company five directors include administrative secretaries of PWD, Planning, and Industries. Various officers, already serving the finance ministry, have been given additional responsibilities to function as executives of the company that the government wholly owns. Though there has not been a complete survey the set of projects already cleared suggest that all these languishing projects are below Rs 30 crore each. Bridges and roads are the key sectors that exhibit delayed implementation of the projects. There are nearly 600 bridge projects – 250 in the hilly region, across the state waiting for funds to get completed. In the first meeting, the committee cleared 62 bridges from Jammu and 79 from Kashmir. Some of them were waiting for funds for more than five years. Managing funds from the JKIDFC requires the owners of the respective project across various socio-economic sectors to fill a form that lists details of the project and the progress achieved. It will offer details of the balance funds required and will have to come to the high power committee through the respective administrative secretary. The form will have to mention the timeline that it will follow for completion, once the resource is made available at once. The corporation will not, however, be a parallel source of funding. “We will not entertain any liability on a project but will fund the resource it requires,” one of the directors said. “Dispersal of bills will be linked strictly as per the progress in implementation.” The state government will have to pay the corporation a percentage of 0.25 per cent for managing the show, in addition to the funds and the interest. Directors insist there are enough of safeguards to ensure the traditional engineer-contractor nexus would not take state’s ‘parallel economy’ to the new level. But it would require a cautious wait as the bidding process will start and the projects will be taken up for implementation. Chief Secretary BVR Subrahmanyam is personally chasing the officialdom in ensuring it takes off. This, insiders said has been one of the seriously doable areas that the governor’s government is so keen to make happen. One of the major cushions that state government’s debt managers see is the “impressive credit history” of the state. “Unlike Maharashtra, Gujarat and many other well-developed states, Jammu and Kashmir is having a much cleaner image because we pay in time and we do not miss the instalments.” Right now, Jammu and Kashmir falls at No 7 in the overall ranking for its best fiscal management, a ranking that it got in four years when it started improving things at No 28. “This will get us a leverage of some basis point in interest,” the officer foresees. But raising Rs 8000 crore debt is a tall order. The repayment mechanism, according to the policymakers is that the state will set-aside Rs 800 to Rs 1000 crore, a year, for next eight to ten years from its overall CapEx (capital expenditure) for debt servicing. There is already a debate in the market on this issue: will the new debt add to the Jammu and Kashmir’s indebtedness? Borrowings have remained a key source to the public finances of all states including Jammu and Kashmir. In fiscal 2018-19, when the state had a budgeted kitty of Rs 80313 crore, capital receipts are Rs 16044 crore which makes almost 20 per cent. Some of these are not borrowings in the real sense, like in the case of the provident fund of the employees of the state. It is a liability, though. In the current fiscal, negotiated borrowings are Rs 800 crore, other borrowings are Rs 6833 crore, the provident fund is Rs 2040 crore, in addition to other non-debt creating liabilities. There are debts raised by various government entities to which the state stands guarantee. Servicing all these liabilities takes a good amount, every fiscal. In the current fiscal, for instance, the government has or will be repaying Rs 2727 crore of debts in addition to Rs 4725 as the interest payment. There are various other debts – both principal and interest that will go from various other accounts. With the new debts being raised for plain developmental activities, the state’s plan expenditure will take a hit. But policymakers say it will fetch the infrastructure projects for immediate use without delay and it will have a cascading impact on the economy, currently in a moribund condition. “Investing this much of resource will by itself trigger a shift,” one policymaker said. The state is already indebted. Budget details suggest the Jammu and Kashmir state has a liability of Rs 60673 crore which includes a public debt of Rs 35507 crore. Taking Rs 8000 crore of debt will take it to the next high level. Principal Secretary, Finance, Navin K Choudhary chairs maiden meeting of High-Powered Committee. Technically, however, the company is lifting the loan and the government is standing guarantee. This will, for the time being, not impact the state’s fiscal deficit parameters. But eventually, the company will pass on the loans to the state’s balance sheet. This view, though not reflected in the decision-making so far suggests that the governor’s administration must take up a section of these languishing projects on priority and create a model. “We can fund it partly from the plan money and partly from market borrowings and limit it to a level,” another official, not part of the decision-making, said. One political source said the governor’s administration should have sought Rs 8000 crore directly from the central government rather than resorting to an off-budget borrowing. Even a part of the PMDP could have been diverted, given its flexibility. A non-debt creating interest-free loan could have been sought from the centre as was done by erstwhile Omar Abdullah government when he lifted an advance from the Planning Commission by debit to the allocations of next fiscal. Another politician said unless the idea has clear and stringent systems in place, it has the potential to create indiscipline. But it is too early to pass a verdict on an initiative, which seemingly is game-changing. On the face of it, the process of identification and clearance of the projects will take the time thus preventing the company from lifting a whopping debt. Tendering will take its own process and disputes on liabilities could force the company to open a window in the courtrooms, too. For the contractors, this initiative, however, can prove a windfall and possibly may help some of them to think big quite soon.